Happy Friday!! Karolyn and Katie are on the blog today. Take a peek at their creations!! Karolyn created this first card. I love how sweet this bundled up dog looks on the snow bank. I love the contrast of the red, white, blue and black colors!!! Katie created this next card. I love her non-traditional pink falling snow. 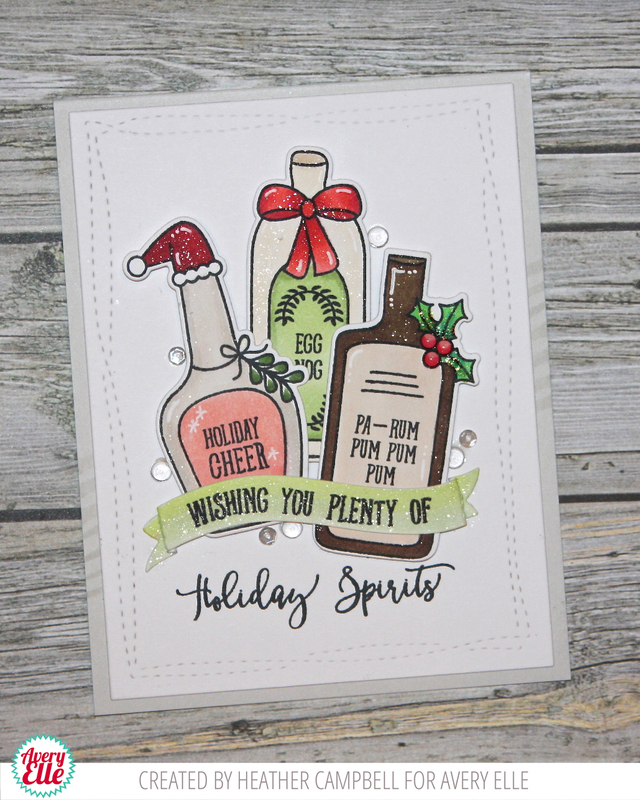 It is fun to mix things up a bit and this is just perfect for a retro themed holiday card. I have the pleasure of sharing projects by Heather and Ashley today. They are so cute. Check them out! This first card by Ashley is so sweet. I love how she colored the cute reindeer. They look terrific against the ink shaded background. 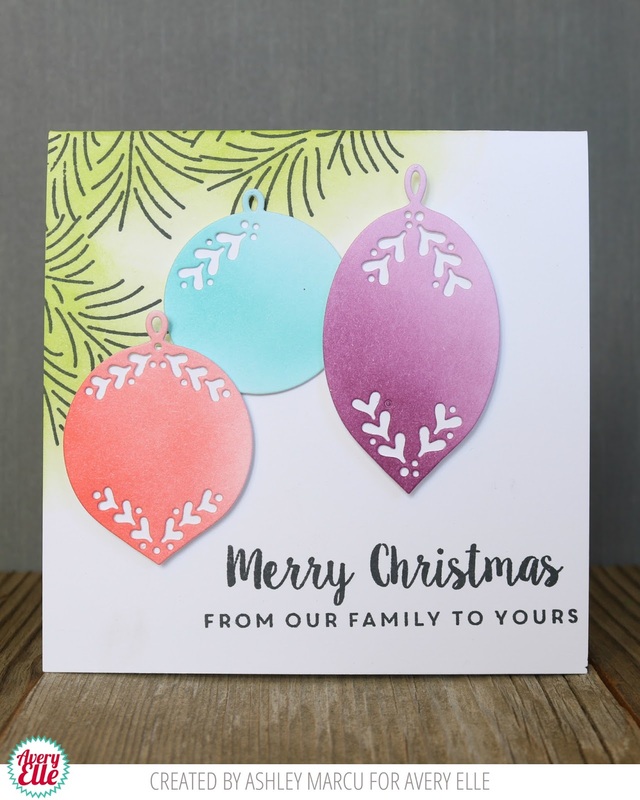 This card is sure to brighten someones day! Heather created this next card. I love how the gold embossing and coloring looks against the kraft background. It is so soft and pretty. 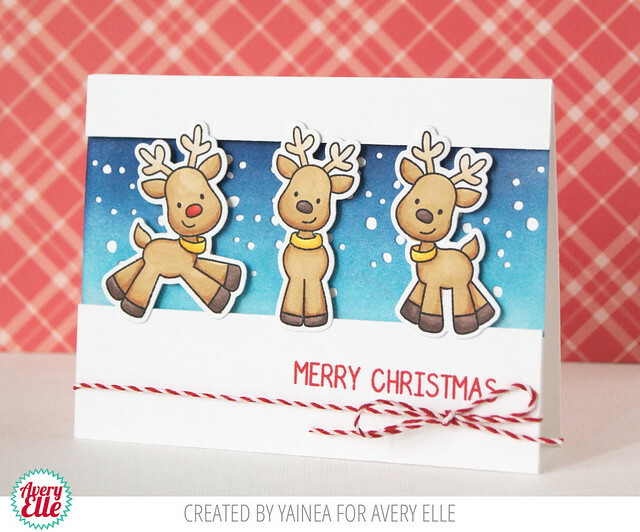 Mrs. Claus and the reindeer look so cute with these holiday packages in this last card by Heather. I love the white gel pen accents. They really finish off the card. Amy and Maska are on the blog today. 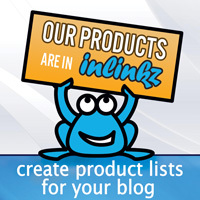 Check out their fantastic projects! This first card by Amy is just the cutest. That falling snow behind the decorated house really adds texture and interest to the card. I LOVE this card!! This is a fantastic modern take on a holiday card by Maska. I love how she framed the door, window and banner. 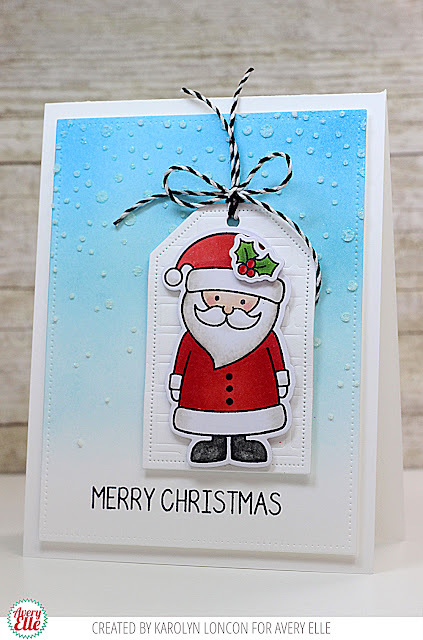 The touches of snow really finish off the card. Thanks Amy and Maska for the inspiration today. Thank YOU for stopping by to take a peek. Have a great day! 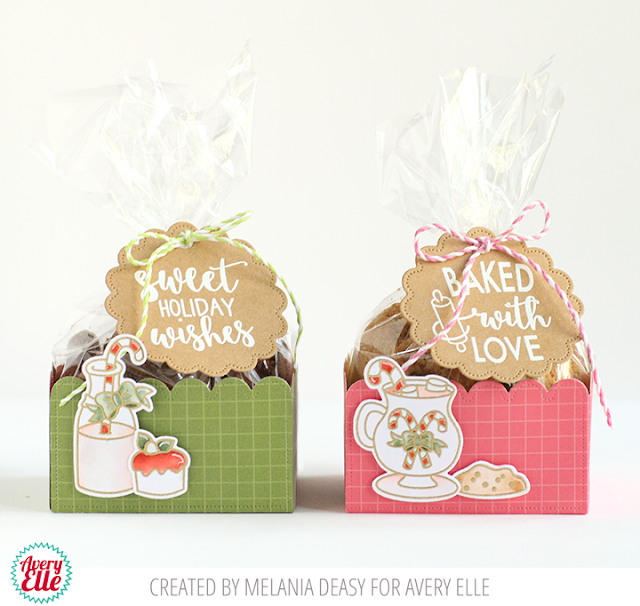 I am on the blog today with these sweet treat boxes and tags that Melania created. I really love how cute these are and how easy they are to make. Melania did a fantastic job!! Thanks Melania for sharing with us. Thank YOU for stopping by to take a peek. Have a great day! Yainea has two very cute cards for us today. 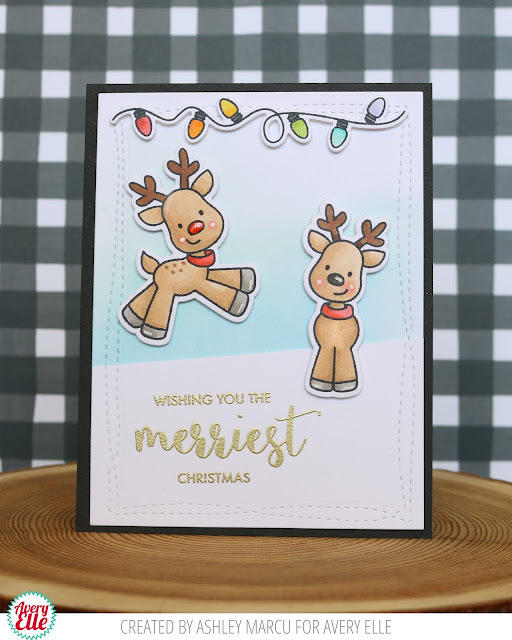 I love how the reindeer look against the snowy sky in this first card. The blue shaded background is just beautiful and really pops against the white and red. This second card is cute and fun! I love how Yainea framed the sentiment with the elf and presents. The coloring is amazing! Thanks so much Yainea for sharing with us today. Thank YOU for stopping by to take a peek. Have a great day! 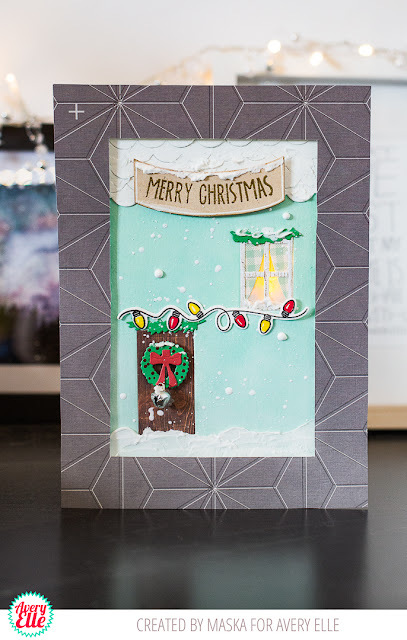 Karolyn and Katie are on the blog today with some really sweet projects. 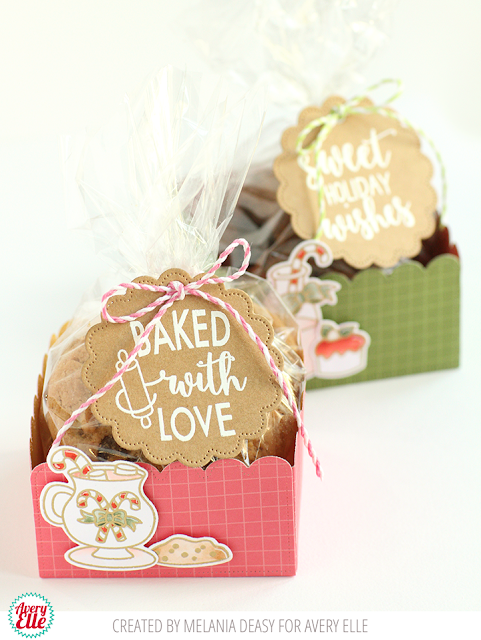 Karolyn created this first treat gift box. I love how the bottom tray quickly dresses up a gift. 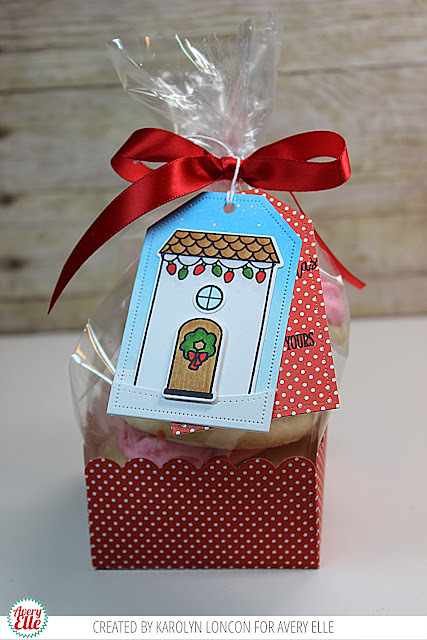 That house looks so cute on the gift tag too! 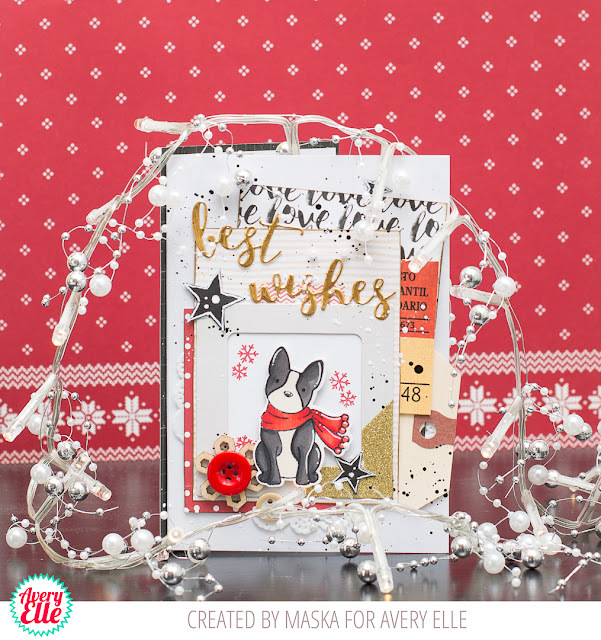 Katie created this next card and I LOVE how she combined our Christmas Packages and Oh What Fun sets. Santa looks so cute holding this load of packages!! I love how soft and pretty this next card by Katie is. The windows look like they are glowing! 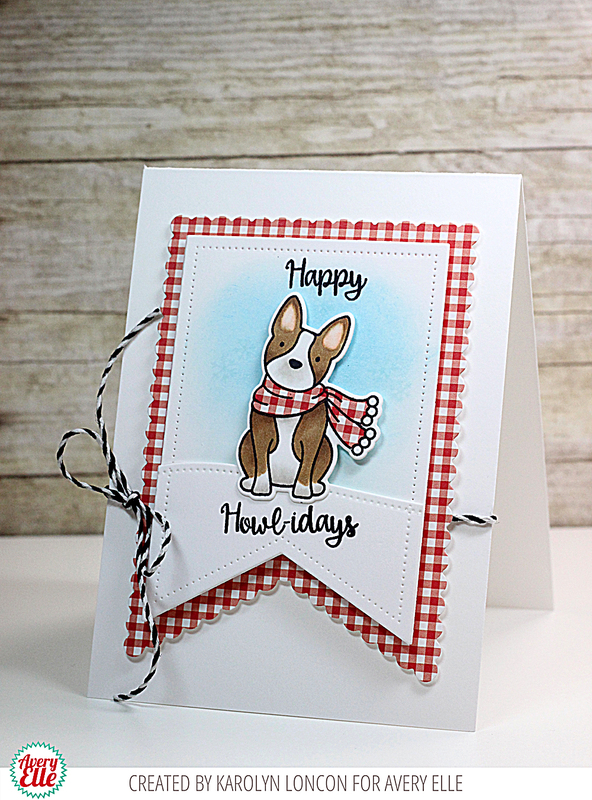 Heather and Ashley are on the blog today with some really terrific cards! Heather created this first card. I love how she colored all of the festive bottles. They look so pretty behind that banner. Ashley created this next card. I love how she added the pine boughs from our Pinecones clear stamps behind the ornaments die cuts. This is a great combination of sets! Amy and Maska created some wonderful projects for us today. Take a look. 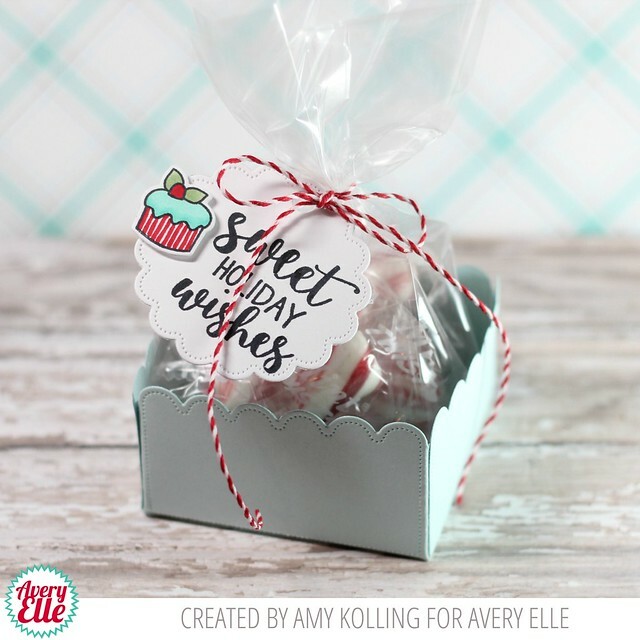 Amy created this cute treat box and tag. I love how the blue, red and white colors look together. These would be so easy to whip up for teachers, coaches, etc. I love this next artsy watercolor tag by Maska. This would look so cute tied onto a package. Maska created this next card as well. The dog is just the cutest. I love how he is highlighted in the frame. Thanks so much Amy and Maska for sharing with us today. Your projects are awesome! Thank YOU for stopping by to take a peek. Have a great day! 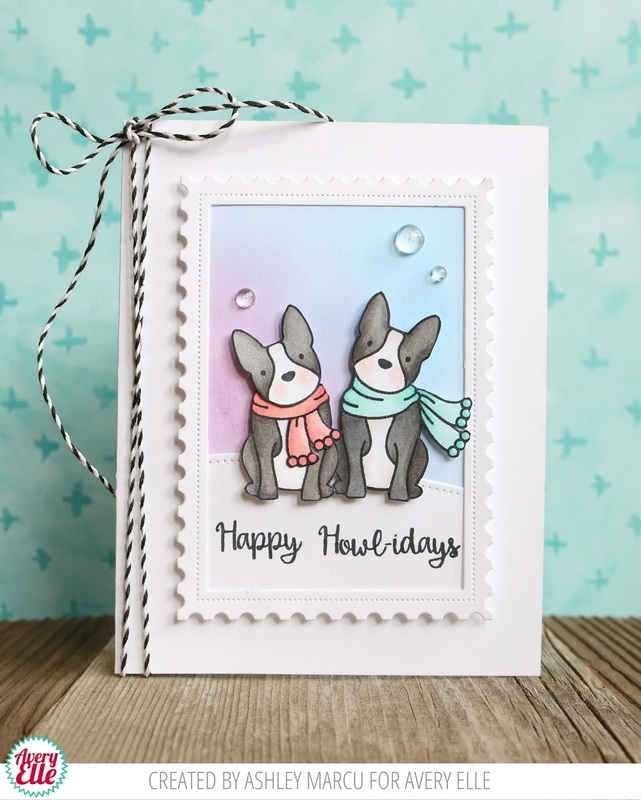 I have the pleasure of sharing two very cute cards that Melania created using some of our newest products. This first card is just adorable. I love how Melania stamped and embossed the house and sentiment in white on the shaded background. It adds subtle detail that looks great behind Santa and Mrs. Claus. These sweet elves are working hard in this next card by Melania. I love how they are colored and the white gel pen accents! Thanks so much Melania for sharing and inspiring us today. Thank YOU for stopping by to take a peek. Have a great day! 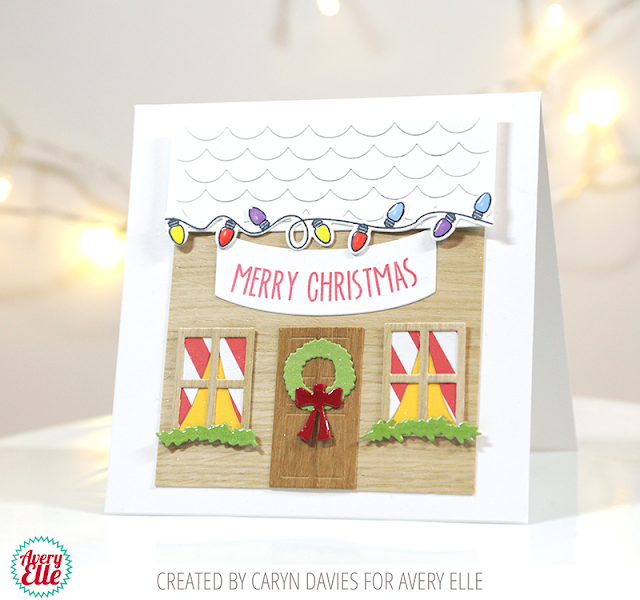 Today I have a lovely card by Caryn to share with you. I love how she decorated the house with holiday lights, red and white striped drapes and a wreath. This is just so cute and fun! I would love to receive a card like this! Thanks Caryn for sharing with us today. Thank YOU for stopping by to take a peek. Have a great day! Hello! 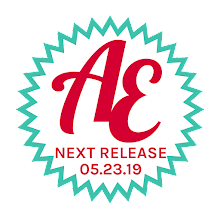 Today is a fun day on the blog because I finally get to show you our exclusive stamp set for the Stamptember event our friends are throwing over at Simon Says Stamp. 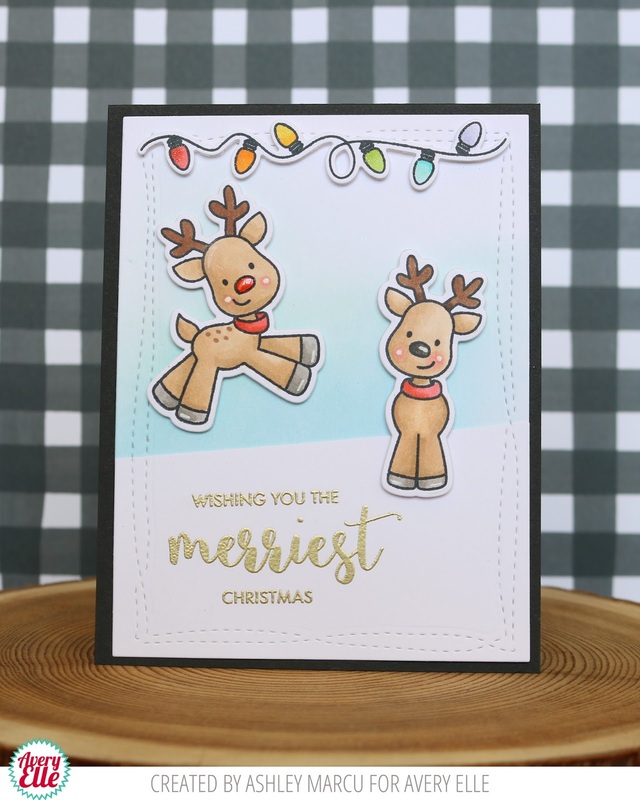 Our design team has whipped up some amazing projects using this set so be sure to stop by the Simon Says Stamp blog for all of the details! Please note that we do not sell this set, it can only be purchased at Simon Says Stamp. Quantities are limited so if you want one you may want to scoop it up soon! I created two pretty cards using this set. They basically use the same layout but one card is embossed on vellum over a Sea Glass inked background and the other is embossed in gold. I love the different looks I was able to achieve! Melania and Elena have three fabulous winter themed cards for us today. I love them all! Check them out. Melania created this first card. These singing critters are just the cutest. I love how Melania shaded the background to give the lamp post a glow against the night sky. Elena created two terrific cards using the same sets. I love how they coordinate with one another. These are SO cute! Karolyn and Katie have some cards for us on this fine Friday. Check them out! I love the simplicity of this first card by Karolyn. Santa looks so cute standing in front of the tag in the falling snow. Katie created this next gold and green card. 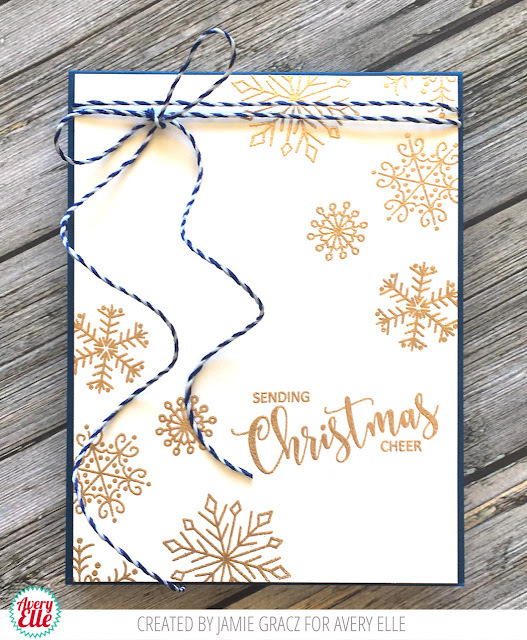 I love how pretty the sentiment looks embossed in gold! Thanks so much Katie and Karolyn for sharing with us today. I always look forward to seeing your work each and every week. Thank YOU for stopping by to take a peek. Have a great weekend! Ashley and Heather have three cards for us today. I love them all! Check them out! This first card by Ashley is so clever. She stamped the cute dog from our Happy Howl-idays stamp set and then cut the head and scarf on one of them to create a dog with a different look. 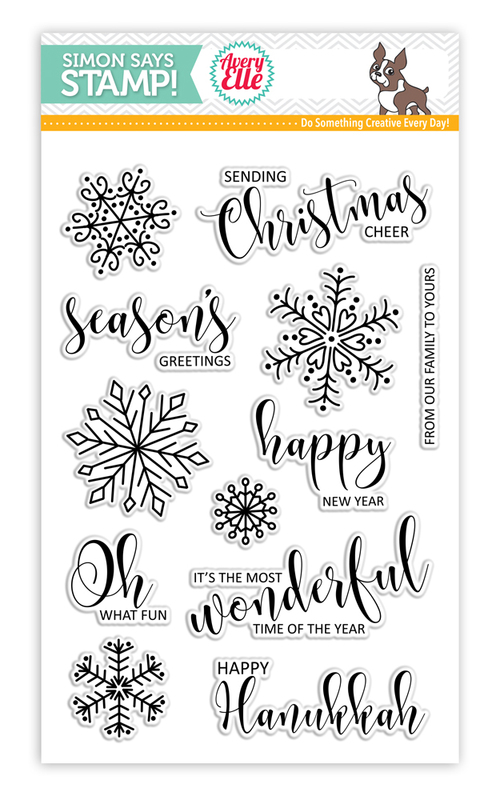 This is a great way to stretch a stamp set. This next card by Ashley is terrific. 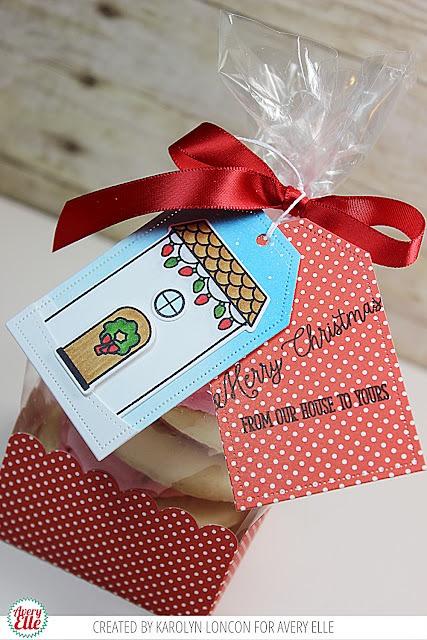 I love that she cut the pine cone and bow image out and added a tag to the card front. The ink shading is gorgeous! Heather created the cute Halloween card below. I love how this monster looks on top of the hill. Thanks Heather and Ashley for sharing today. You are amazing as always! Thank YOU for stopping by to take a peek. Have a great day!